Music from China is a musical organization, founded in 1984, whose mission is to promote both traditional and new music and whose reach has become international. Led by Susan Cheng, Wang Guowei (who has taught at Wesleyan University) and Zhou Long, the chamber ensemble has premiered over 100 works by Chinese composers, many of which were either commissioned or competition prizewinners. This stunning CD opens with Wang Guowei's 2-movement "Songs for Huqin and Saxophone Quartet" - the first part, "Pastorale", blends the open feeling of Aaron Copland's best works with the softness of a Mongolian folk melody (supplied by the composer on zhonghu, a Chinese fiddle. Part 2, "Crescent Moon at Dawn" is derived from a Chinese folk tune with Guowei on banhu (another style of Chinese fiddle). The plaintive melody moves among the saxophones and, at other times, they serve as a chorus supporting the melody lines. The closing section of the tune hops along like a Far Eastern hoedown. The title track, composed by Zhou Long, is a series of small dialogues, first between the Chinese instruments and percussion - many stretches of silence separate the melody lines. The saxophone quartet enters 1/3rd of the way through the piece, serving as a bridge between the first and second sections. Guowei's haunting erhu (a 2-stringed fiddle) enters into a conversation with the saxophones, the lovely soprano tones bending above the string tones. The rousing closing section features a pounding martial beat underneath the whirling and whinnying reeds and strings. All but one of the pieces are recent compositions. The exception, "Shuang Que", is a 1984 work by Tan Dun (who is, perhaps, best known, for his Oscar winning score for "Crouching Tiger, Hidden Dragon") and does not feature the saxophones. Performed by Guowei on erhu and Li Liqun on yanggin (Chinese hammered dulcimer), the piece starts very quietly and, through a series of repeated melodic phrases, builds to a powerful finish. Most impressive is how the sound of the saxophones blend into these pieces. The music allows them space and they often carry the melody - in fact, Lei Liang's "Yuan" features only the saxophones and the piece has echoes of the work of American composers Roscoe Mitchell and the late Julius Hemphill. 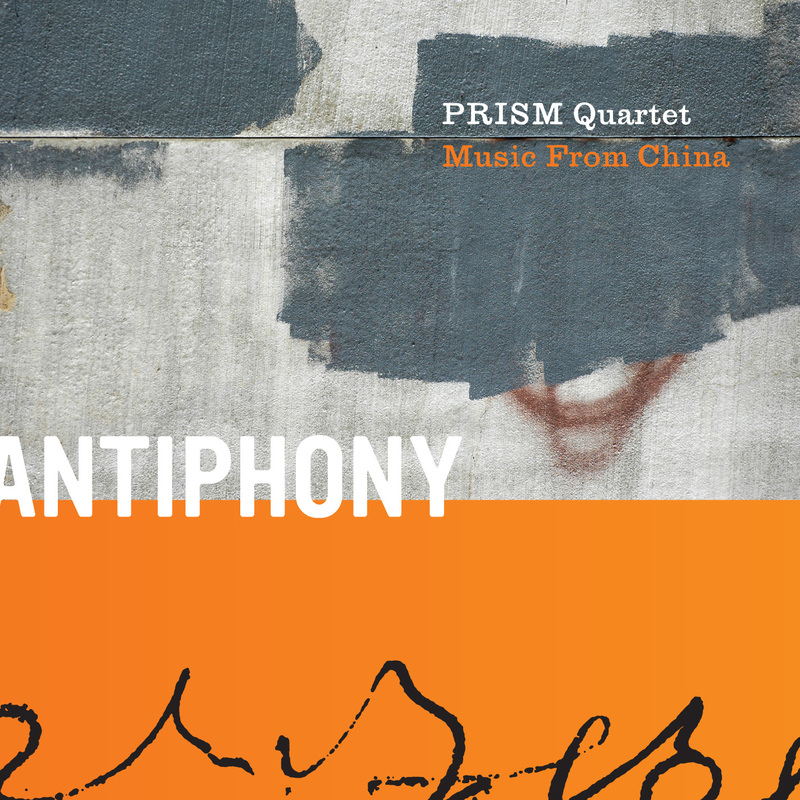 "Antiphony" (a musical term meaning " responsive singing or chanting") shows the power of cultural collaborations, not so much "East meets West" but really modern music that blends old instruments and melodies with current ideas of harmony.